There are different opinions about who brought the Qadiriyya Sufi Order first to the Indian subcontinent, but it seems to be sure that the Qadiri Tariqat was spread in India two centuries after the death of its founder. Muhammad Enam ul-Haq claims in his work, "A History of Sufism in Bengal, Dhaka 1975", that the Qadiriyya was brought to India first by the Sufi Abdulkarim al-Jili in the year 789/1388. It is certain that Al-Jili came to India in these years and stayed there for some years. Muzammil Haq does not completely agree with this. He says that Al-Jili might have been in India at this time but that the sources do not give any information about his attempts to find new members or to propagate the teachings ol the Qadiri Tariqat in India. In other investigations Shah Nimetullah Wali (731-834/1331-1431) and his children are mentioned to be the first inviters to Qadiriyya in India. According to the traditions, Shah Nimetullah (born in Syria) made after the death of his Pir Abdullah Al-Yafii, travels to North Iran, Samerkand, Herat and Yazd. He then stayed in the Persian town Mahan (district of Kirman) and became after short time the mystic leader of the region and founded the first Shia tariqat, the Nimetullahiyya. Later the Nimetullahiyya was spread in Dakkan as a result of the friendship between Nimetullah Wali and Sultan Shabaddin Ahmad I. (825-839/1422-1436). But it seems to be problematic to consider this Tariqat as an affiliate of Qadiriyya. Arnold emphasizes the role of the humble and gentle Muslim inviters (missioners) in spreading Islam among the Indian people. He says: "The most important of these inviters was the grandson of the famous saint Abdul Qadir Jilani, Seyyid Yusuf ad-din. Seyyid Yusuf got in his dream the order to leave Bagdad and to go to India in order to invite the Indian people to Islam. Thereupon he immigrates to Sind in 824/1422 and after an effort of 10 years he reaches to invite more then 700 families out of the caste of Lohana to convert to Islam." But its not sure if Seyyid Yusuf did these efforts in the name of Qadiriyya. It seems to be possible that there was a certain tariqat (Qadiriyya) idea in his work. 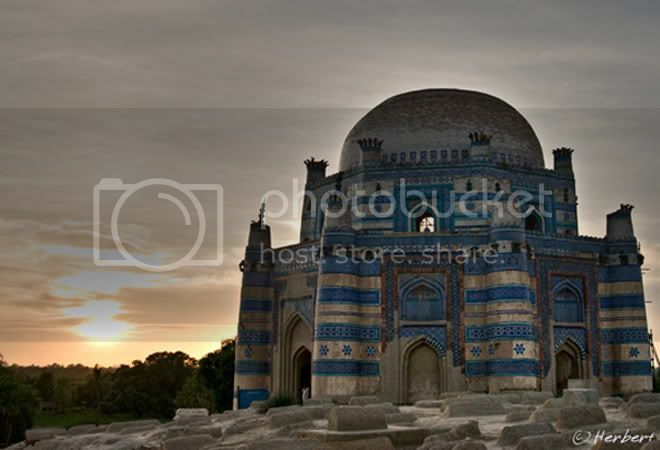 In the second part of the 9th/15th century a Qadiri dergah was founded in Ush(Uch) near by Multan. The founder was Shaikh Bendegi Muhammad Gavs(Ghous) (Muhammad bin Shah Emir b. Ali b. Mesud b. Ahmad b. Sayfaddin b. Abdalwehhab al-Jilani, 903/1517) a grandson of Abdul Qadir Jilani. Shaikh Muhammad Gavs (Ghous)came to Multan/Ush in 877/1482 together with his family and group of murids. They settle in this area where the Suhrawardiyya is active too. Seyyid Muhammad Gavs(Ghous) is the first one to establish the Qadiri tariqat in India and the later generations strengthened it and carried it to the other parts of the country. After the death of Muhammad Gavs(Ghous), his son and Khalifah Abdulqadir Sani (940/1533) takes his place. For his great efforts for the tariqat he got the title Sani (the second Abdulqadir). He went on inviting people to tariqat and reached the conversion of a large Hindu group to Islam and to strengthen the belief of the weak Muslims. So the Qadiriyya was spread in Sind, Panchup (Punjab) and Kashmir. Nice blog. Keep up the good work. I need your permission to use your photo for my blog and a free online encyclopedia. Both are non-commercial ventures. Look forward to your consent.